It is important to understand what Junit is, before we begin our discussion for Cucumber JUnit Runner. JUnit is an open source unit testing framework for the Java programming language. JUnit has been important in the development of test-driven development, and is one of a family of unit testing frameworks, which is collectively known as xUnit that originated with SUnit. Unit has a Graphical User Interface (GUI), making it possible to write and test source code quickly and easily. JUnit allows the developer to incrementally build test suites to measure progress and detect unintended side effects. Test can be run continuously. JUnit shows test progress in a bar that is normally green but turns red when a test fails. By now, we have seen the benefits of using JUnit, but the reason we are discussing it right now is Cucumber framework. On one hand, Cucumber is providing a way for non-technical person to define test cases for a product, and on the other hand, our expectation is for smooth and timely execution of such test cases. Stakeholders write down the feature file. Step definition file will be created accordingly. Specify the JUnit runner class to run the series of test cases. It will parse the Gherkin feature file. It will execute the functions written in the step definition file according to feature file statements. JUnit will combine the test case result. It will build the test report in the specified format (which can be html/JSON). Step 1 − Install Java. 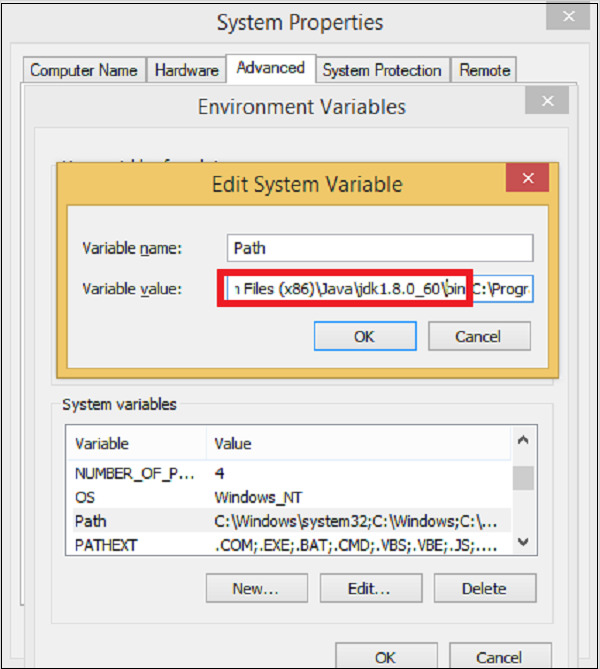 Set environment variable as shown in the following screenshot. Step 2 − Install Eclipse. Make sure JAVA is installed on your machine. Unzip and Eclipse is installed. Step 3 − Install Maven. Why we need − Maven is a build automation tool used primarily for Java projects. It provides a common platform to perform activities like generating source code, compiling code, packaging code to a jar, etc. Also later if any of the software versions gets changed, Maven provides an easy way to modify the test project accordingly. Unzip the file and remember the location. 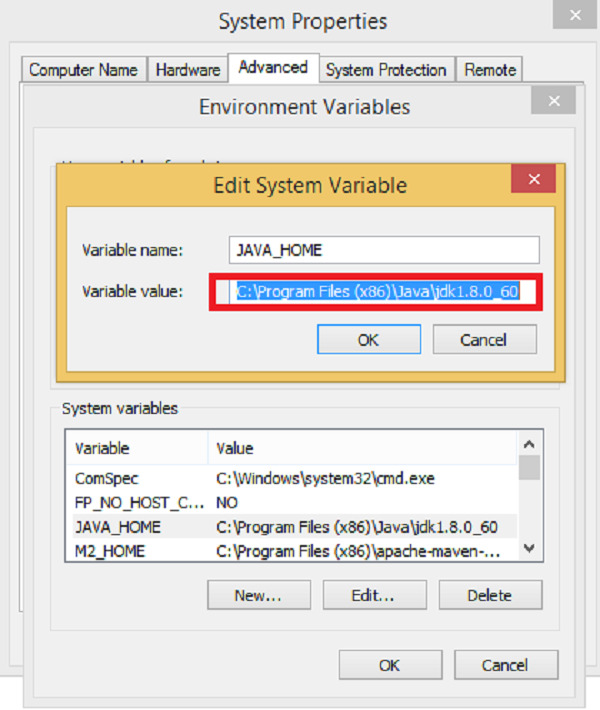 Create environment variable MAVEN_HOME as shown in the following screenshot. Edit Path variable and include Maven as shown in the following screenshot. 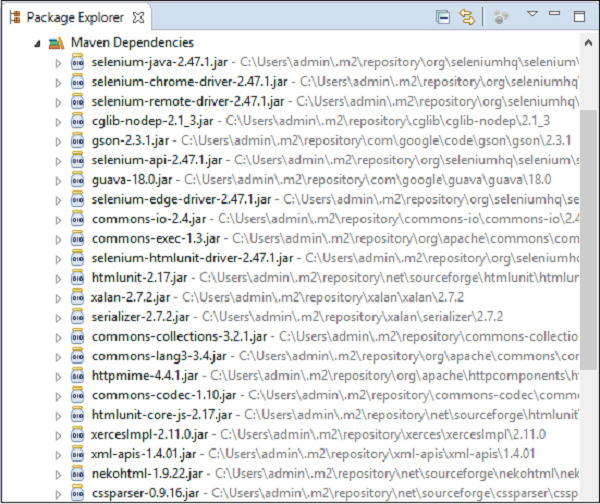 Download MAVEN plugin from Eclipse. Got to Help → Eclipse Marketplace → Search maven → Maven Integration for Eclipse → INSTALL. Create a Maven project in Eclipse. Add dependency for Cucumber-Java − This will indicate Maven, which Cucumber files to be downloaded from the central repository to the local repository. Add dependency for Cucumber-JUnit: This will indicate Maven, which Cucumber JUnit files are to be downloaded from the central repository to the local repository. After that you will be able to see a Maven repository like the following screenshot. Step 5 − Create feature file (to be covered later). Step 6 − Create step definition file (to be covered later). Step 7 − Create Junit runner to run the test (to be covered later).